When I looked a the many maps about Annapurna region, i realized that there are two peaks on the rigde which are called gacier dome or tarke kang. So people will also name pictures according to there map. 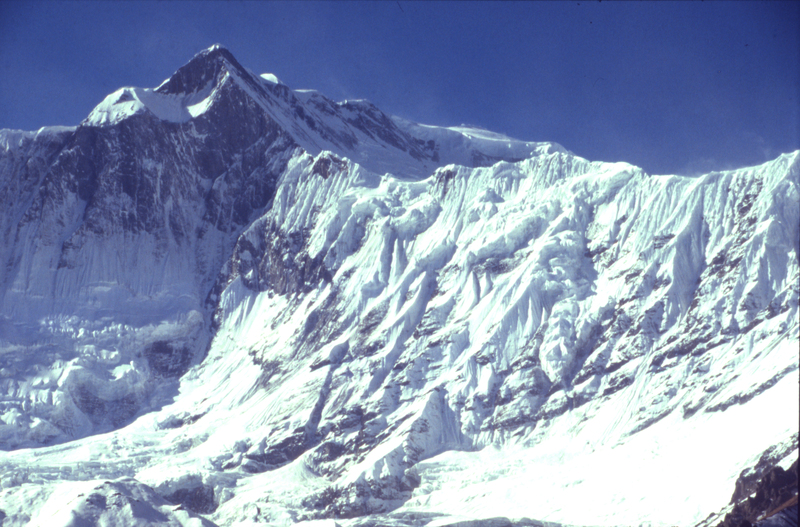 On the germen Schneider map, whoch is normaly the most relieabel Tarke kang ist the little peak on the rigde which ist in direct line on a secondary ridge coming up from Annapurna Base camp with Tent peak -Fluted peak(singu chuli) - Tarke Kang. When I searched in the inte4rnet, I found also some climbing report, saying they treid to climb take kang direktly from Fluted peak. as on bothe the sides of the ridges one can find spectacular mountains like gangapurna and roc noir i did not take a picture just of ridge. Therefore I believe, that tarke kangis realy the first little ridgpeak east of roc noir (Khangsar kang) . Also the french climber used a map with this denomination. 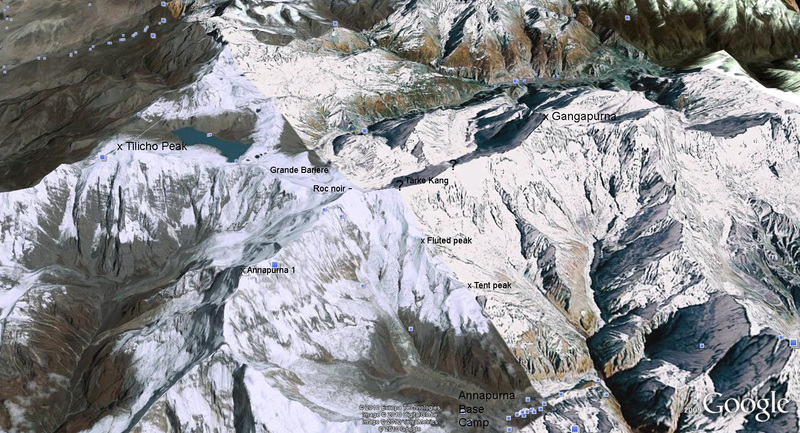 For your convienience I made a picture in google earth which is an eagle view from high above Annapurna south . 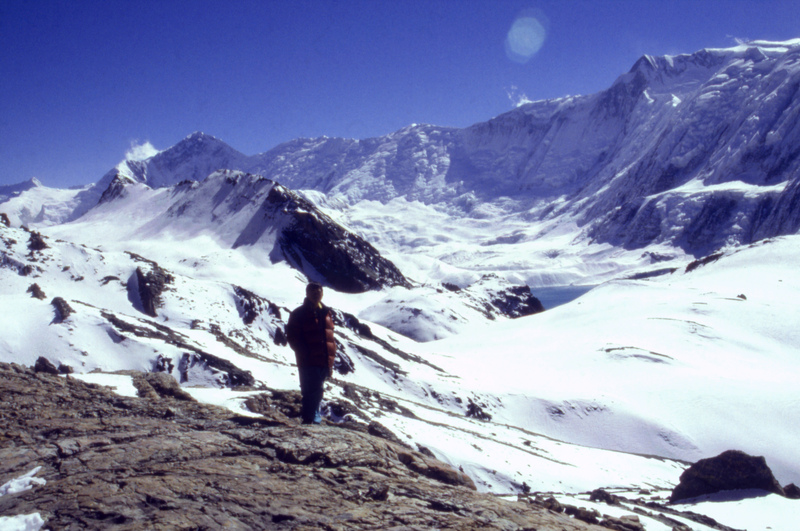 A view from Tilicho base camp lodge. 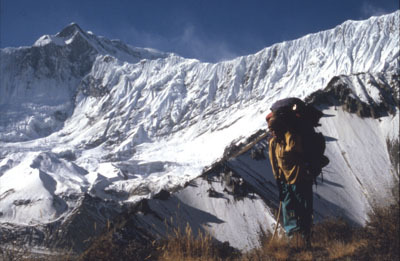 On can see well the annapurna ridge behind Roc noir. i think this pictures should show right of the middgle tarke kang. in the middled of the picture ist the area where the french climber descend according to her webside and where you Husband was last seen. Thsi picture was taken just befor tilicho lake direktion south east.